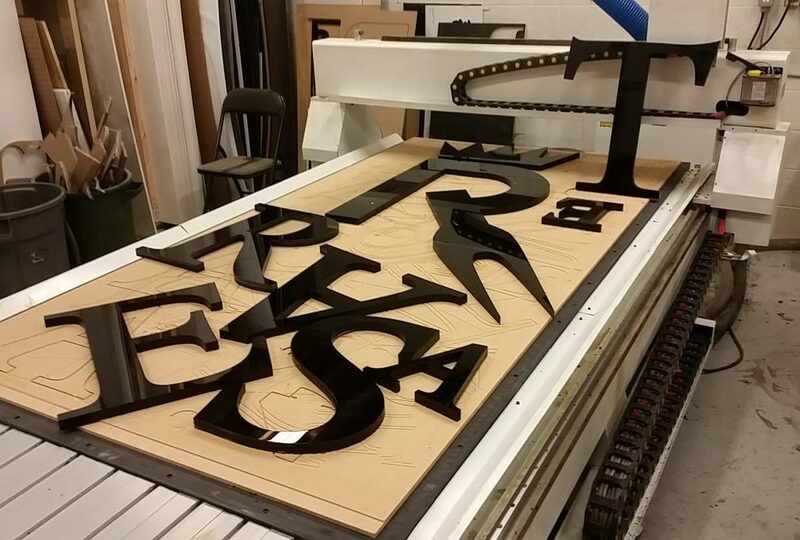 With our in-house 4ft x 8ft CNC machine, MYC Graphics has brought complete signage solutions to a whole new level. 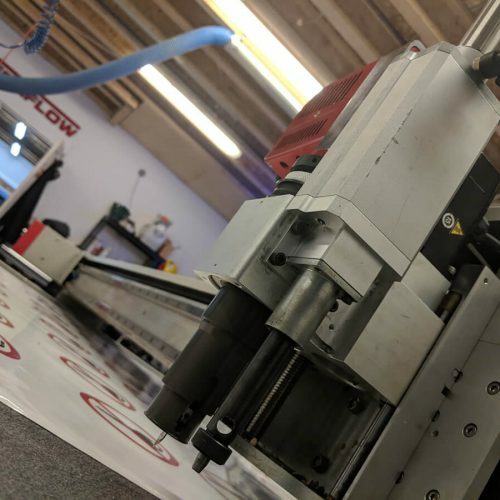 The manufacturing industry and it’s technology enables us to create signs of all types to help you take your brand marketing a few steps further. 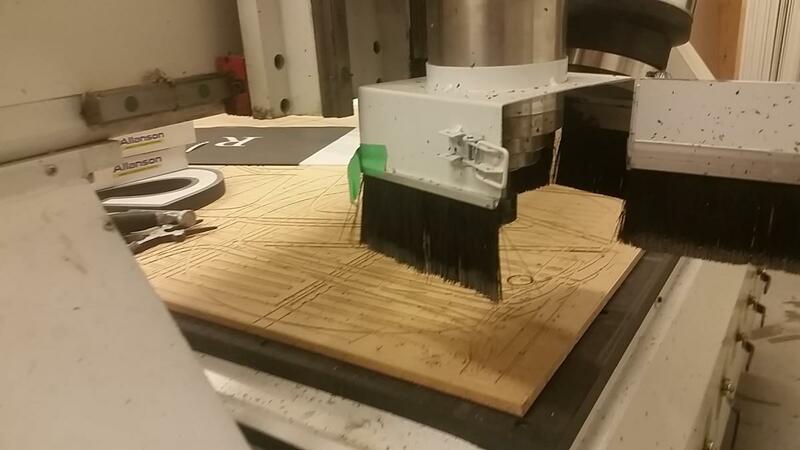 This large machine lets you cut a full 4×8 sheet of material. Excellent precision gives you the ability to do precise inlays, 3d carvings, engraving, and pcbs. The ruggedness empowers you to tackle the toughest wood working projects, cabinets, non-ferrous metals, plastics, signs, etc. This machine is use for aluminum composite and metal composite cladding, signmaking, graphics & print finishing, cabinetry, woodworking, plastic fabrication, metal fabrication, foam packaging, point of purchase, solid surface and many more. This machine is able to engrave various non-metals, like paper, acrylic, double-color plate, marble, wood, MDF, plywood, textile, leather, glass, etc. It is widely applied in advertisement signs and marks making, handicraft industry, crystal accessories, paper cutting, wood industry, printing industry, clothing and leather industry, etc. Substrate cutters are used to cut rigid and semi-rigid substrates such as foam board, corrugated plastics, pvc board, cardboard, etc. They can also be used to score and snap acrylic. Royal Sovereign Electric Trimmer is a piece of revolutionary finishing equipment that will help save hours from trimming by hand. 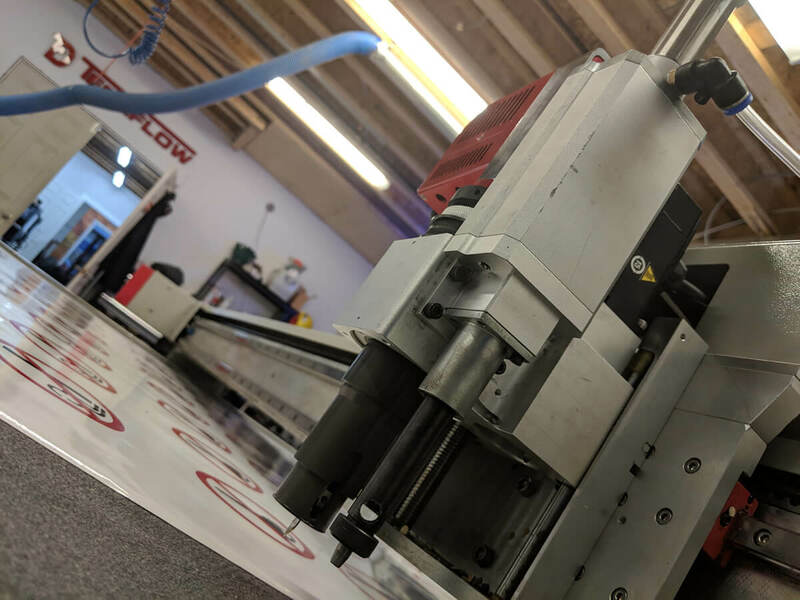 Our electric trimmer will consistently provide quality, clean, and straight cuts to signs, posters, business cards, and more. 3D printing is any of various processes in which material is joined or solidified under computer control to create a three-dimensional object. Objects can be of almost any shape or geometry and typically are produced using digital model data from a 3D model. The Alum-A-Brake 10’6″ is a high-efficiency siding brake that allows for a faster, more efficient working environment without using a pencil. It will hem, slit, and bend all common material, including vinyl coil. 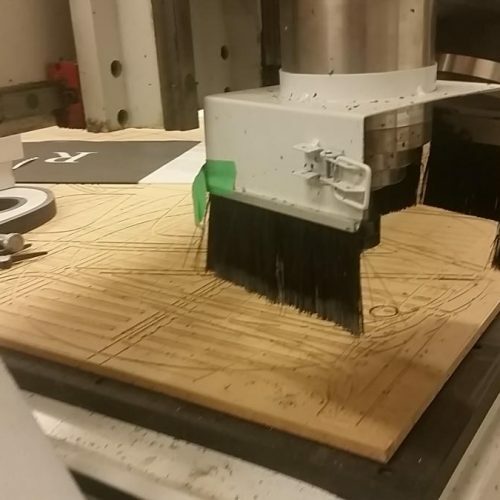 Our CNC router is a computer-based shaping machine that allows us to quickly and precisely cut your custom design from a wide variety of materials to suit your application, needs, and style. 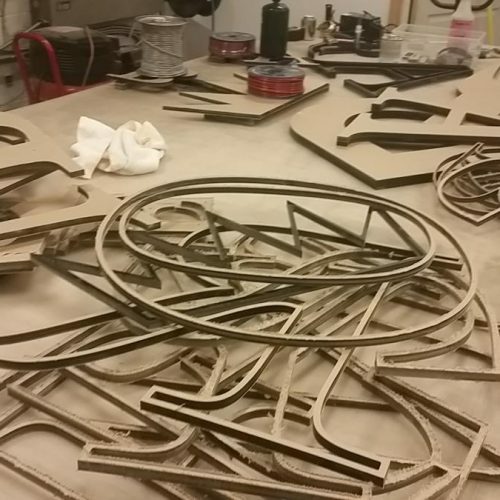 In essence, our manufacturing services using our CNC router can cut your sign, lettering, or design from aluminum, wood, acrylic, composites, plastics, foam and more. By utilizing our diverse techniques and materials, MYC Graphics can answer to even the most innovative and multifaceted design concepts! 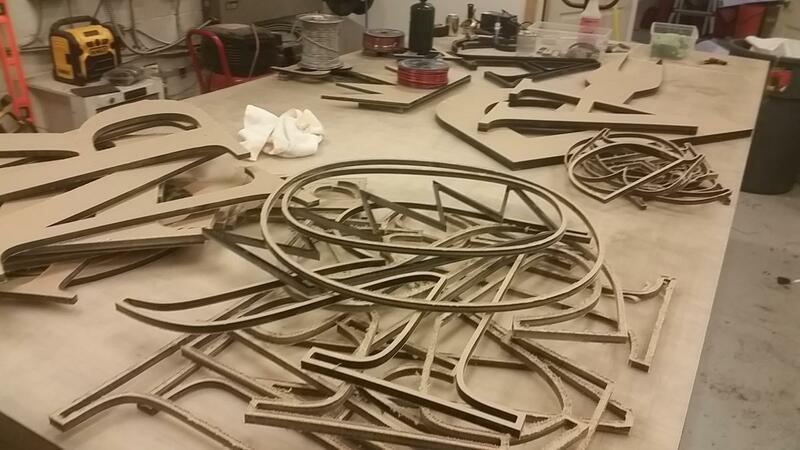 The style and material for your CNC sign depends only on your building, your corporate image, and your application. 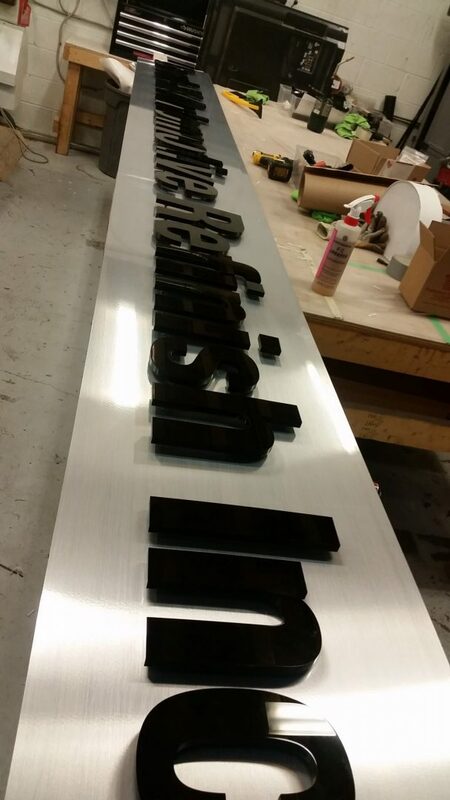 Our mission is to create lasting signs for lasting impressions, so let us help you create a custom solution. 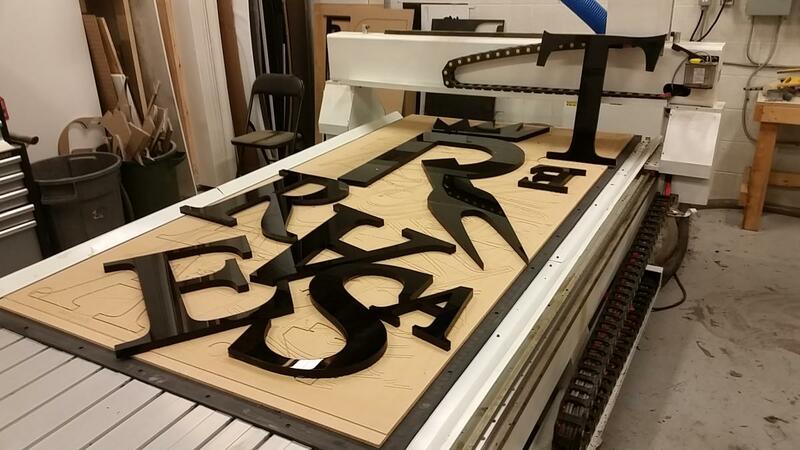 At MYC Graphics, the only limits to signage are your imagination. 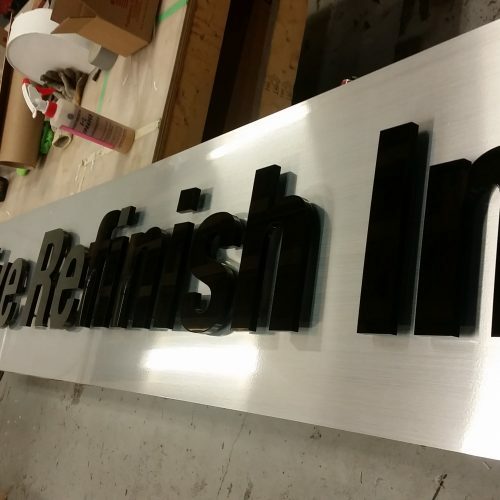 Outdoor Dimensional Signs: Instantly enhance your business’ look and aesthetic appeal. 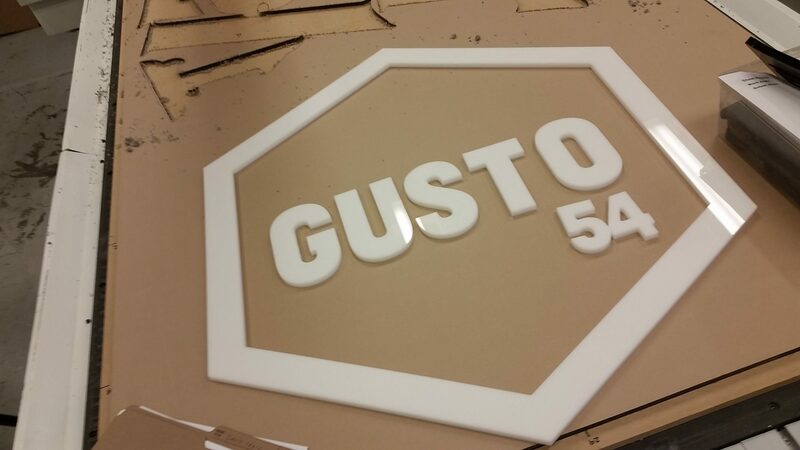 Typically cut from PVC, acrylic, wood, and aluminum, these signs can easily withstand the elements. 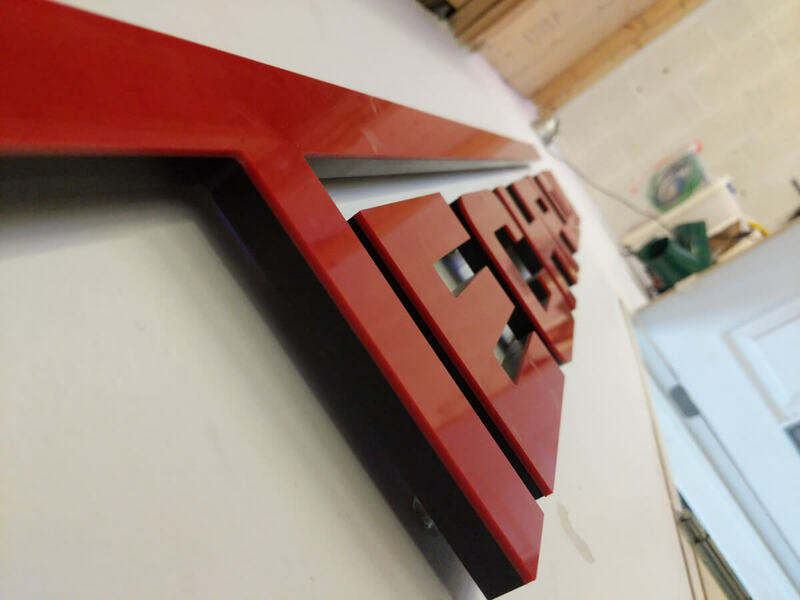 Whether your company prefers project-fabricated lettering made of metal, plastic or other suitable material, our company finishes your outdoor signage product beyond your expectations. 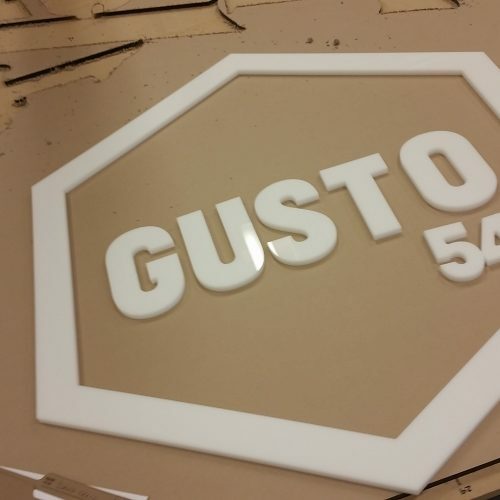 Exterior Signs: With such a broad range of products and goals, our CNC process allows us to custom fabricate your concepts! 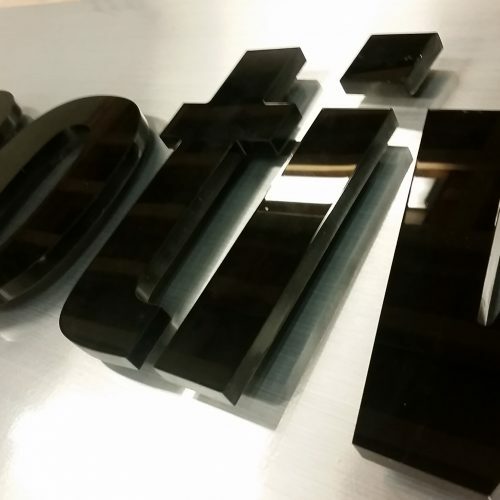 Our only goal is to solidify your ideas, message, and business- one letter at a time. Rest-assured knowing you’ll receive raised letters that not only inform your customer, but also are serviceable for years. 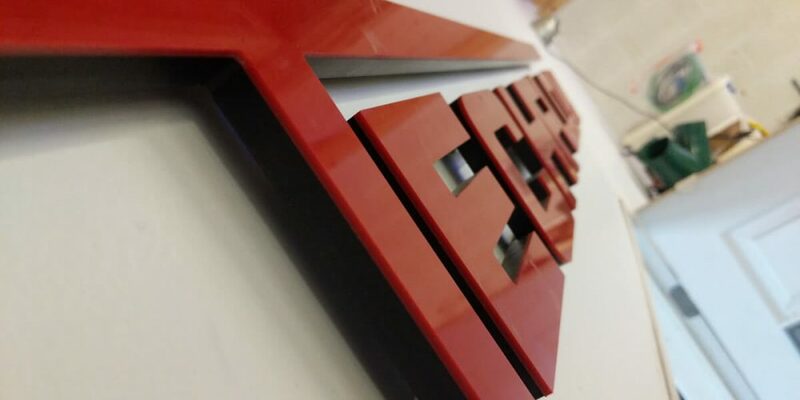 Wall Signs: One of the most effective means of corporate signs, wall signs can incorporate dimensional logos and a host of other designs into your final product. 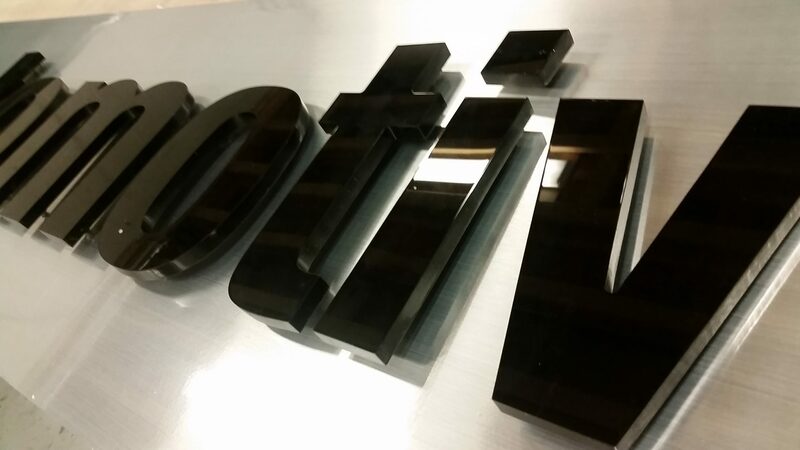 Common strategies include acrylic logos and lettering, aluminum letters, brass letters, and sandblasted signfoam signs. Custom Signs: Looking for something completely unique? Contact MYC Graphics and we’ll help bring your ideas to life!